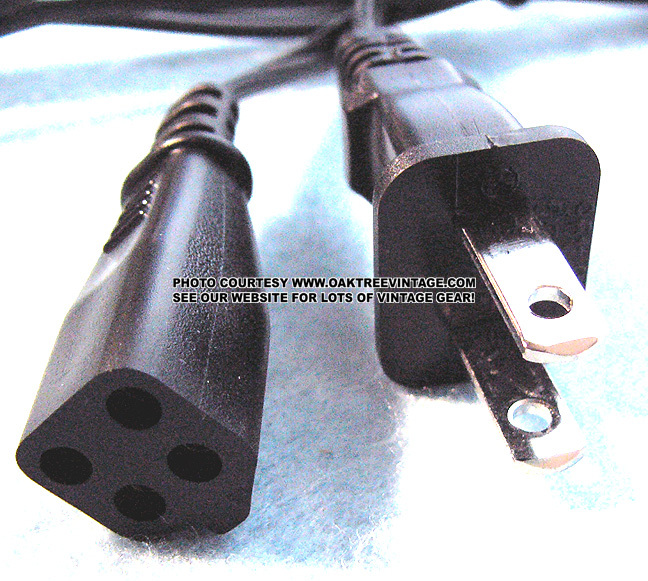 Replacement AC power cord / cable / mains lead for Sony TC-300, TC-500A, TC-521, & TC-777S-2-4 Reel decks and maybe the TC-600 & TC-777. 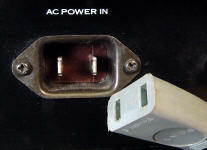 These will fit the units that have 8mm center to center spacing on 2 recessed, round prongs. Replacement AC power cord modified for many older Sony Reel to Reels, tape decks, and probably many others. 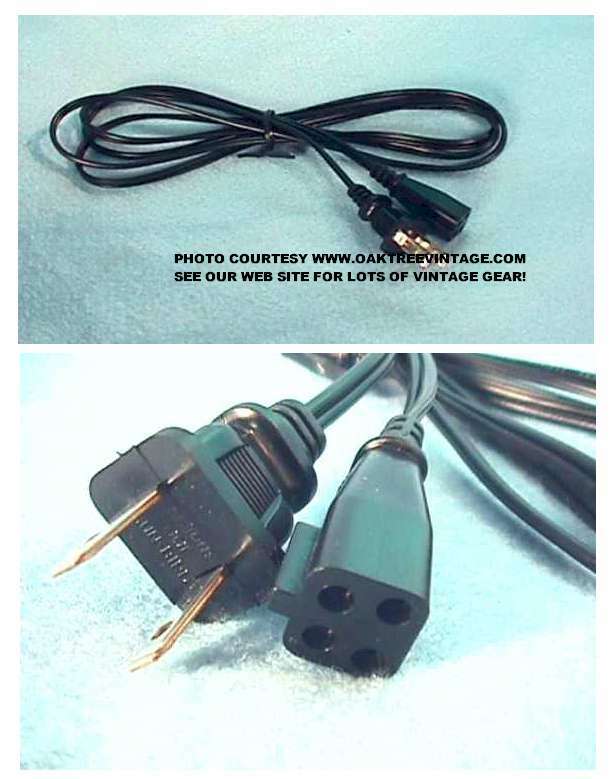 Replacement AC power cord for many older Sony vintage audio components / electronic units, especially Sony TC-630 & TC-854-4, and probably many others that have 2 flat spades / prongs. Here are just a few of the units this cable will fit. Many Sony R2R's including TC-530 / TC530, TC-540 / TC540, TC-630/ TC630, TC-651 / TC651, TC-850 / TC850, TC-882. 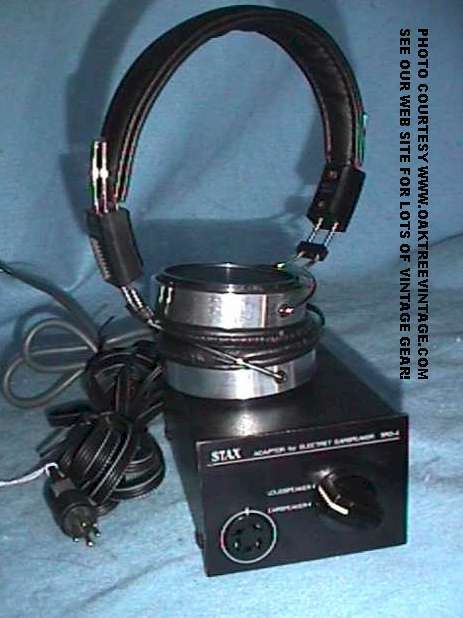 Also fits Sony Portable Cassette Decks such as the TC-124, TC-630, TC-854-4 & TC-1250. SORRY, BUT THESE ARE NOW SOLD OUT COMPLETELY WITH NO ETA ON MORE. 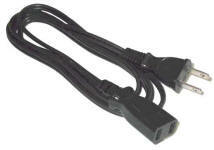 Used Sony 4-Pin AC cord for many older Sony electronic units including their Portable TV's. 6' in length. NOW DISCONTINUED. NO ETA ON ANY MORE. SORRY.